The Cotton Club, favored by the city’s elite, was dubbed “the Aristocrat of Harlem.” Its patrons included British royalty and celebrities like George Gershwin, Cole Porter, Paul Whiteman and Marlene Dietrich. 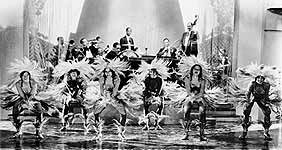 Duke Ellington and Cab Calloway conducted their innovative jazz bands and great black entertainers like Ethel Waters, Bill “Bojangles” Robinson, Lena Horne and Josephine Baker played the room to the delight of the all-white audience. Feel the magnetic attraction of the Cotton Club in this lecture/recital presented by Robert Wyatt. Film and sound clips will partner with colorful stories which illustrate the musical and social life of New York in the 1920s and 30s.